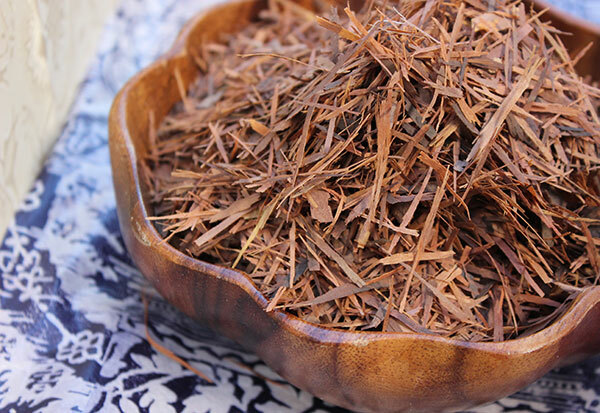 Pau d'arco bark comes from the inner layer of bark on the pink flowering lapacho tree native to the South American Amazonian rainforest regions where it has been used as a therapeutic herbal tea by indigenous cultures for centuries. The tree is made up of a very hard wood and tough exterior that is resistant to many diseases. Likewise, the bark inside this surface layer is a strong immune system modulator, optimizing immune response with certain compounds like the active ingredient called lapachol. 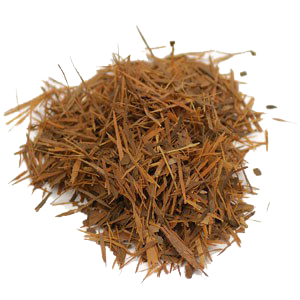 The bark tea or extract is used as a potent medicinal herb for its natural antibiotic properties, inhibiting potentially harmful bacteria and yeast from the body, while supporting the growth of beneficial microbial strains. It is not technically an adaptogen, but works on the secretory immune system or the body's first line of defense against pathogenic organisms. 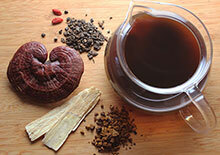 Adaptogens specifically function on deeper immune reserves and are more beneficial when taken on a regular basis. 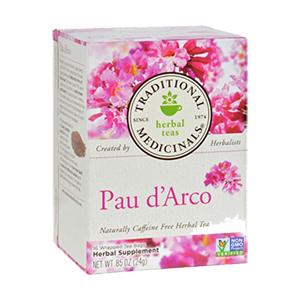 Pau d'arco on the other hand, as a purifying herb, is best used for short periods of time to heal certain immune associated disorders. 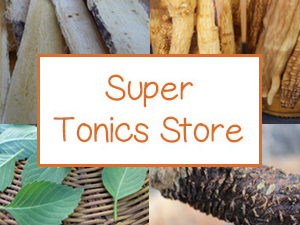 It can be used with many of the major tonics or Ayurvedic herbs but, in our opinion, is more effective when used alone or with other cleansing herbs when dealing with conditions like candidiasis, parasites or autoimmune related diseases. Some of the primary constituents in the bark, composed of quinones, flavonoids, like quercetin, and a number of glycoside compounds, are very potent antifungal and antiviral complexes. These specific attributes make it a top cleansing herb for yeast overgrowth, fungal and viral infections in addition to skin conditions like psoriasis or eczema. 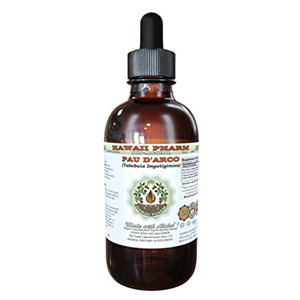 Pau d'arco works also as a blood purifier which is one of the reasons is it effective for many skin conditions. Blood cleansing herbs assist liver functions and help to clear out toxic immune inhibiting yeast and fungal strains that can lead to epidermal breakouts and issues. 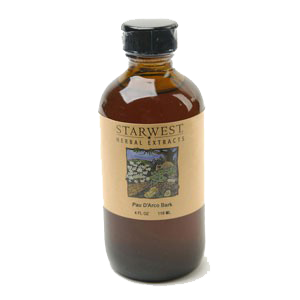 Many herbalists around the world use pau d'arco bark extracts or tea formulas for a number of fungal conditions including athlete's foot, ringworm, thrush, rashes or nail fungus. 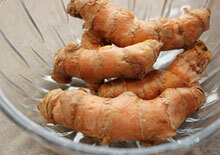 It can also be used topically directly on the skin in herbal salves or ointments. 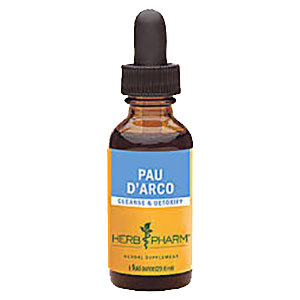 Pau d'arco is also known to be influential as a natural anti-inflammatory and pain reliever for a wide range of conditions. In some research it has be identified to be effective for arthritis, prostatitis as well as ulcers. 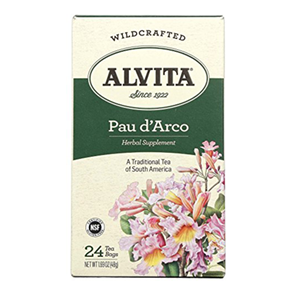 Pau d'arco tea is slightly bitter and astringent but has a very pleasant taste and fragrant aroma. 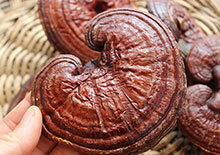 Dried pau d'arco bark can be infused in hot water, but is more beneficial when simmered for 20 minutes. 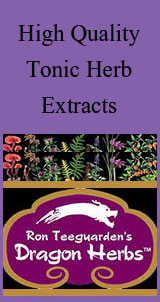 It can be used alone or in herbal tea formulations. 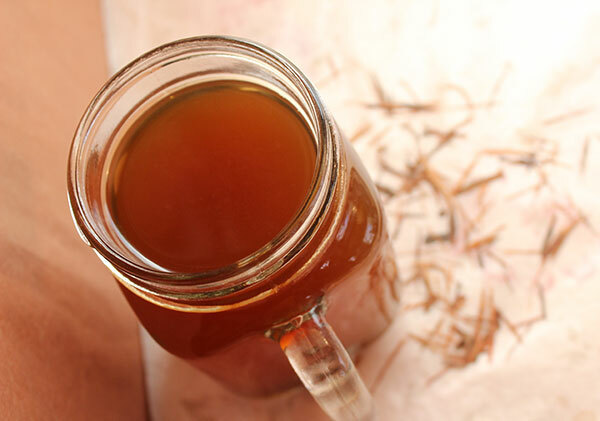 As we mentioned, it can be added for its cleansing elements when decocting other tonic herbs or mushrooms such as fo-ti root, chaga and astragalus. However, the main naphthoquinones, lapachol and beta-lapachone, are considered slightly more effective as an alcohol extract. The lapacho or pau d'arco tree (Tabebuia impetiginosa or Tabebuia avellanedae) is a hard wood native to the Brazilian Amazonian rainforest but has been introduced to other parts of the world where appropriate subtropical climates persist and is somewhat tolerant outside its natural growing zone. It grows all over Central and South America as well as Mexico, Florida, the Caribbean and even the North American coastline. The tree is a canopy species and can reach heights of 125 ft (38 m) with about 100 different species of the tree coming from the genus Tabebuia. Often used as a common ornamental because of its bright pink to violet trumpet-shaped flowers, it is also very resistant to diseases which make it a beneficial horticulture tree species. Part of the reason for this is that pau d'arco is made of an extremely hard wood and additionally contains disease inhibiting attributes within its woody protective shield. Also referred to as the taheebo tree, the wood is used today in South American countries as a timber product popular for lumber building purposes. Because of this, it is being over harvested in some areas, like Brazil, where it is an endangered tree species. 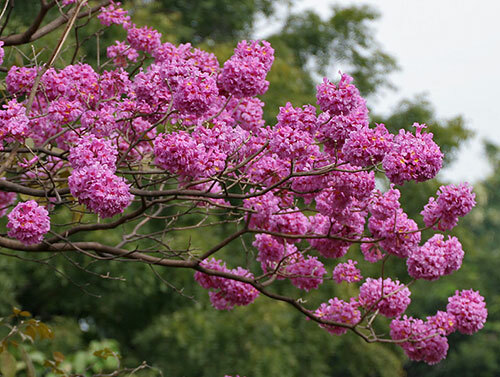 Tabebuia impetiginosa is also known as ipê and gets its name "pau d'arco" from the Portuguese language. It's Portuguese name, which means "bow stick", comes from the traditional native use of the limbs to make bows for hunting purposes. Where Does the Bark Come From? The reddish-brown pau d'arco bark is not taken from the outer bark but from the thin layer between the outer bark and the inner heartwood. When the bark is peeled back, this lining resembles thin moist layers of shredding material. Its primary function is to create new tissues and protective compounds. This is where the most medicinally potent properties are concentrated. Pau d'arco bark is typically harvested in a similar way to traditional cork harvesting which removes the outer layer but leaves the living tree intact, which will eventually grow another layer of bark. Pau d'arco is a long living tree species, usually maintaining its life cycle for up to 700 years or more. The lapacho tree was called "tajy" which means "the divine tree" and was originally used by indigenous peoples of Paraguay, Brazil and Bolivia such as the Guarani, Tupinambá as well as the Incan civilization and their descendants the Kallawaya, a group of traditional healers living in the present-day Bolivian Andes. The Kallawaya were once the naturopathic healers of Incan kings and today are familiar with up to 600 pharmaceutical herbs. 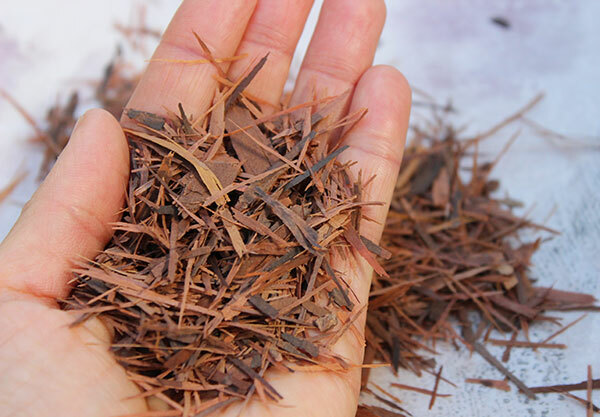 The use of pau d'arco bark was first introduced into Western medicine in the 1960's with early research investigating specific compounds like lapachol, which is known to possess potential antitumor and pain relieving qualities. When using tree species for medicinal purposes, most "herbs" are extracted from the bark or cambium layer of the tree, where the most potent nutrients and immune modulating substances can be found. This is essentially the immune system of the tree itself. 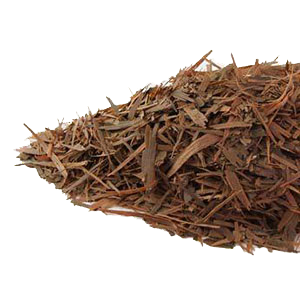 The immune enhancing and cleansing substances in pau d'arco bark when consumed as a tea or extract are not only useful for cleaning the lymph and purifying the blood, but also function as a natural herbal antibiotic. 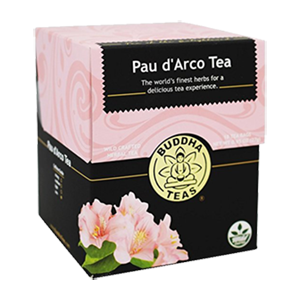 Unlike antibiotic drugs, pau d'arco doesn't kill all the bacteria in the body, but tends to eliminate and/or inhibit the over-abundance of non-beneficial bacteria and yeast strains. Candida albicans is a type of fungal yeast that is beneficial to a healthy intestinal ecology in small amounts. The use of prescription antibiotics, an unbalanced diet or other factors can cause an overgrowth or over dominance of this particular strain, causing yeast infections and the elimination of "good bacteria" needed for optimal immune health. 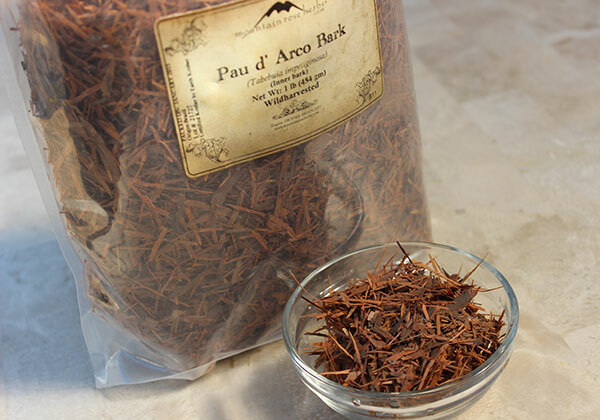 Because of its specific influence as an antifungal and antiparasitic complex, pau d'arco bark is one of the top recommended natural remedies for treating intestinal parasites and candida overgrowth. This provides for a more balanced ratio of intestinal microflora which is needed for proper immune function and the synthesis of certain B vitamins. It can be used for a period of time, sipped as a refreshing tea throughout the day or conveniently consumed as a liquid extract that can be dropped into drinks and beverages. In cases of severe candida overgrowth, it is of course also advised to follow a no-sugar diet and adhere to a strict cleansing protocol with additional probiotic supplementation. In a study entitled, "Selective growth-inhibiting effects of compounds identified in Tabebuia impetiginosa inner bark on human intestinal bacteria", evidence demonstrated that pau d'arco bark hinders the growth of harmful bacteria strains, while selectively ignoring the beneficial microflora like Bifidobacterium and Lactobacillus. The active phytochemical, lapachol, was also shown to be helpful as an antifungal and antibacterial for inhibiting many non-beneficial bacteria including Helicobacter pylori, Staphylococcus aureus and Streptococcus. 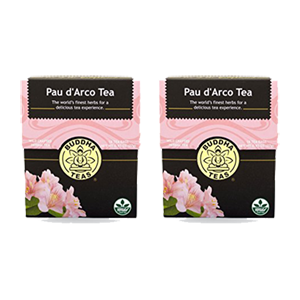 Along with a health promoting whole foods diet and a regular exercise program, supplementing with pau d'arco bark tea or extract is often recommended for inflammatory-related diseases and autoimmune disorders, like MS, chronic fatigue syndrome, arthritis and fibromyalgia. 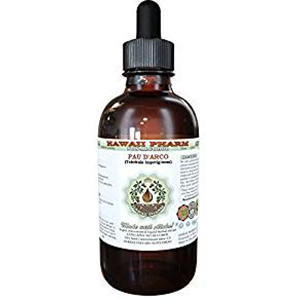 In a study published in the Journal of Ethnopharmacology, data suggest that a water extract of taheebo (pau d'arco) "may be developed as a new therapeutic remedy for various inflammatory diseases such as arthritis and atherosclerosis." 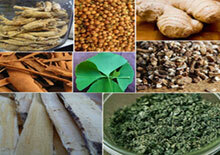 There are certain cleansing herbs that work together with liver herbs to help detoxify the body. 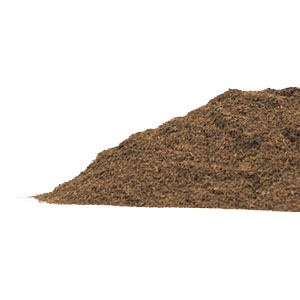 Pau d'arco is one of them, acting as a natural antiseptic that sanitizes the tissues, cells and blood, additionally functioning as a mild laxative to help eliminate undigested waste material. These effects directly help to improve the condition of the skin, by helping the liver do its job more effectively. The liver is the top organ responsible for keeping our skin healthy and free of various skin rashes, eruptions and chronic conditions. 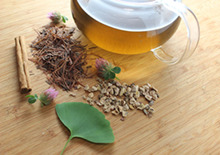 The herbal tea or extract can also be used topically as well as internally. Dried Bark or Powder - Used to make tea decoctions or tinctures. 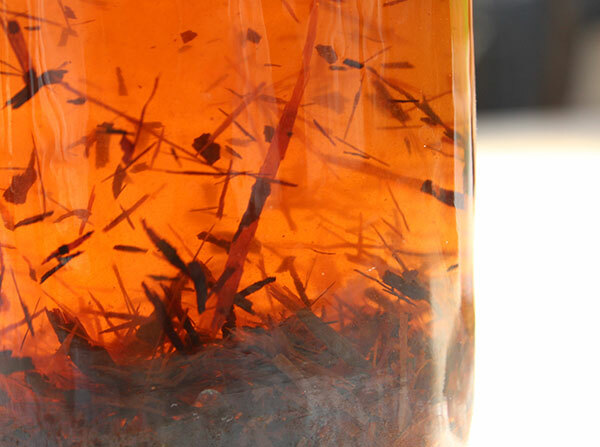 Tinctured Extract - Alcohol extracts of the dried bark. Capsules or Tablets - Powdered capsules or powder compressed into tablet form. 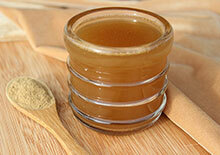 Herbal Salve - Homemade or purchased salves made from bark extracts or bark infused oil and beeswax. 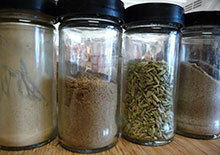 We always recommend purchasing bulk herbs or tea products from a reputable, sustainable fair-trade source. 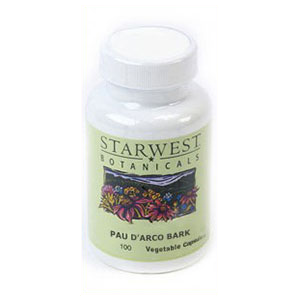 Most pau d'arco bark is available as a wildcrafted herb rather than a cultivated variety. According to Walter Lübeck,"The best lapacho quality originates from the wild harvest since the complete combination of active ingredients can only be found at an age of 40 years", from the book "Healing Power of Pau D'arco." 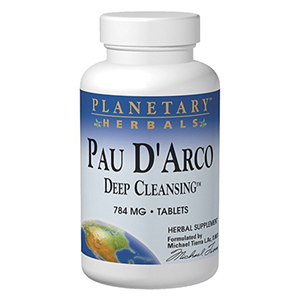 Pau d'arco bark is a powerful cleansing herb and should be used in appropriate quantities for short periods of time rather than on a regular basis. Be aware that higher amounts of pau d'arco may be toxic to the body and may cause gastrointestinal upset if used in excess. 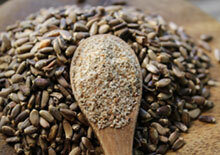 It is best consumed in moderate dosages spread throughout the day rather than all at one time. 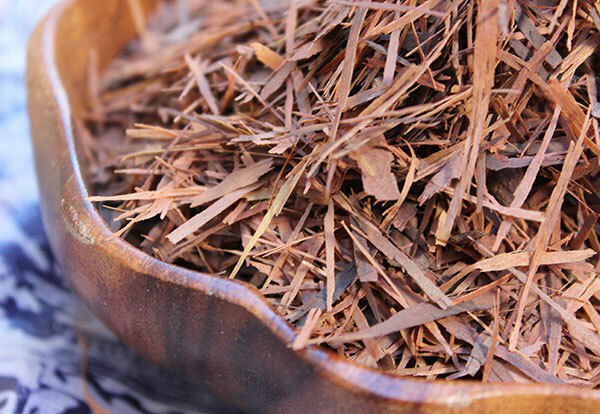 Pau d'arco bark can be infused in hot water but is most beneficial when decocted (simmered) in water for about 20 minutes to release the active ingredients and medicinal components. 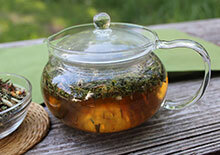 It is a delicious tasting tea that can be made in quart size quantities to be consumed throughout the day. 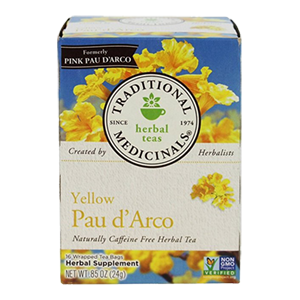 To make a mild pau darco bark tea use 2T bark per quart of water. 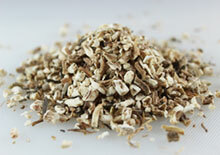 Pau d'arco bark is great to use in tonic herb teas to add beneficial cleansing components to the herbal tea formula. For a traditional Shipibo Peruvian tea use pau d'arco with cat's claw, another herb with similar properties. 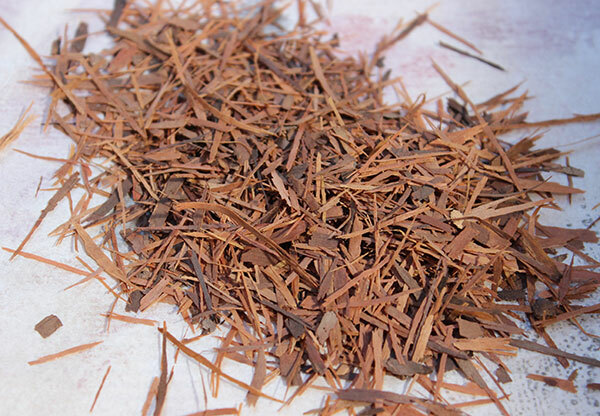 Some recommend that the bark should be used with a squeeze of lemon so tannins can be effectively digested. 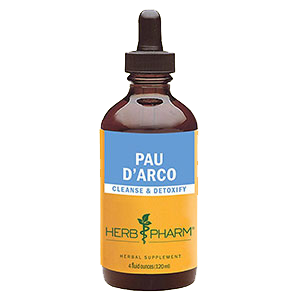 Pau d'arco is a medicinal and astringent herb that can also be used topically in salves or ointments for healing skin issues such as eczema, athlete's foot or psoriasis. 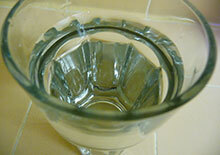 For vaginal infections or candida a strong tea can also be used as a douche or in a mineral sitz bath. 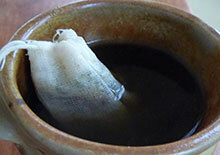 Consuming excessive amounts of the bark tea or extract may cause nausea or gastrointestinal upset. 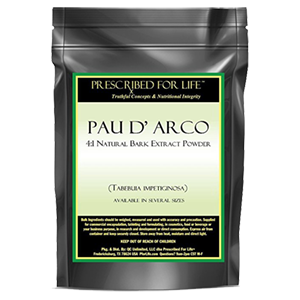 Consult your health care provider before taking pau darco bark if pregnant, nursing, trying to conceive or if you have a serious medical illness and/or are taking prescription medications, especially blood thinners.